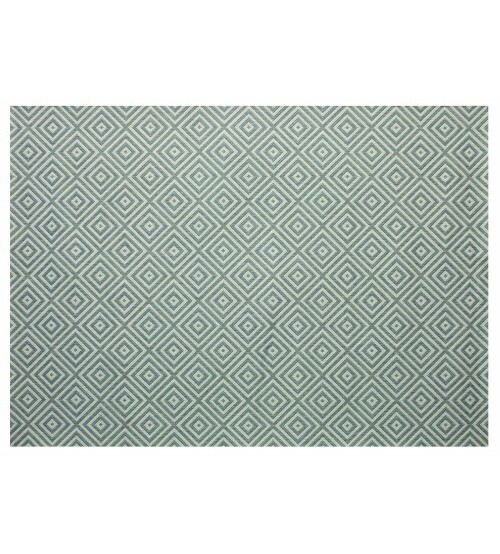 The Treasure Garden Athens Silver outdoor rug is a patio accessory turned necessity. 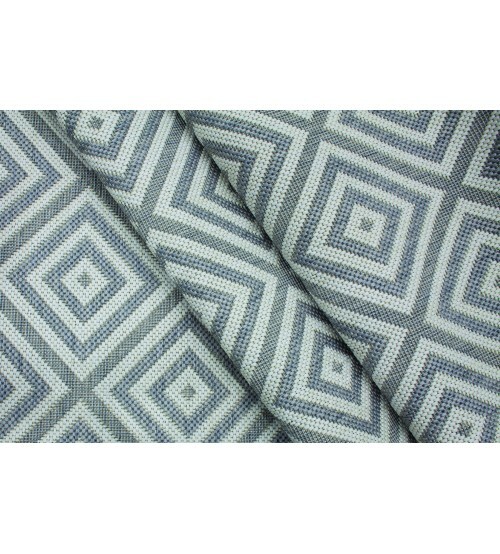 Add a touch of timeless elegance to any indoor or outdoor space with the simple and versatile diamond pattern that will match any patio furniture or accessories. Both your eyes and feet will thank you for the sophistication and comfort of this rug, providing the perfect base for dining and conversation sets or a covering to concrete or otherwise hard flooring. Treasure Garden exclusive and popular Silver Collection is made from 100% polypropylene, this rug is designed for durability and comfort, all-weather construction, that are stain and soil resistant with UV stabilizers providing a colorfast, anti-static, and mildew-resistant rug to last and provide excellent value. Available in two sizes: 5'3" x 7'4" or 7'10" x 10'.